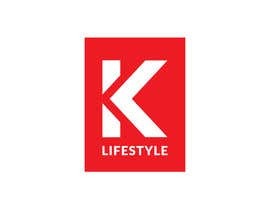 I am launching a new magazine called, "K Lifestyle Magazine" and I have a rough draft/concept of what I envision my logo/brand asset to be, but need some help advancing the concept into a useful, meaningful and strong brand icon for my business. 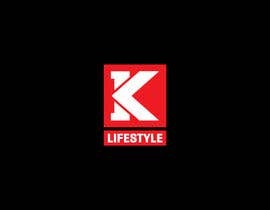 The magazine will focus on both urban and suburban themes and will include such things as hot music, cars, beauty and fashion, travel, and more. I am not good at design and took a rough stab at coming up with an idea of where I would like the branding logo/image to go, feel free to change font type, face, colors, etc. as the attachment I am adding is purely added for concept. Also I tried to mock up a fake magazine with the type o placement I am interested in, again it is just a rough mockup and I am open to seeing other interpretations and placement if there is an aesthetically appealing alternate means of doing so. Colors I want to steer clear of are yellows, oranges and purples. I would like to see the design/logo on a mock magazine cover, business card, shirts, and marketing collateral to ensure it flows well with the message we are trying to convey. The winner of the contest would need to provide a vector in all file outputs; ai, eps, pdf, jpg, png, tiff, psd, and svg. Also all custom font types and faces developed and used would need to be provided in applicable formats as well. Sir please check #82 #83 #84 thanks! Check #55 and #56 . Thanks! Rate for #46 . Thanks! Thank you. I will reject all of those who are stealing work.